In Animate Pro, when you import a symbol in your scene, you can navigate through it in the Network view. 1. In the Network view, select the symbol you want to open and press [Ctrl] + [E] (Windows) or [⌘] + [E] (Mac OS X) to use the Edit Selected Symbol command. 2. 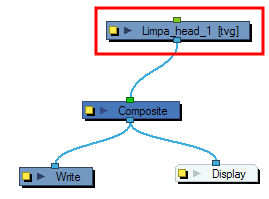 In the Network view, inside the Symbol’s top module is the composition of your Symbol. 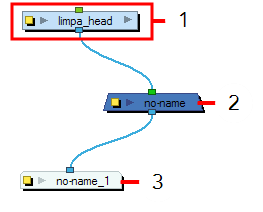 In this example, a group module was turned into a Symbol. 3. Click the Top button in the Network view’s top-left corner to return to the top module or press [Ctrl] + [Shift] + [E] (Windows) or [⌘] + [Shift] + [E] (Mac OS X) to use the Leave Current Symbol command.